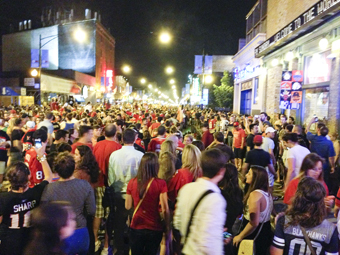 Clark Street in Wrigleyville after the Blackhawks' Cup-clinching victory. The Boston Bruins’ Milan Lucic had just scored at the 12:11 mark of the third period, a goal that seemed to be the backbreaker that would send us to a Game 7. I hope you didn’t blink. With less than two minutes left, Jonathan Toews made an incredible pass to Bryan Bickell to tie the game. Suddenly hope was restored. We would make it to overtime for the fourth time this series, and the Blackhawks had already won two of the previous three overtime games. I hope you didn’t blink. Seventeen seconds later, Dave Bolland made history in what had already been an historic season for the Blackhawks. They were less than a minute away from their second cup in four years. In 17 seconds, they went from heartbreaking loss, to Stanley Cup glory. I really hope you didn’t blink. The Blackhawks started and finished this strike-shortened season in record-breaking fashion. They came out of the gate going 24 consecutive games without a regulation loss, and ended with the record for the shortest span between game-tying and Stanley Cup-clinching goals, as well as the latest cup-clinching goal in regulation. And to make it even sweeter, which team had previously held both of those playoff records? The Boston Bruins. And how appropriate that the game-winning goal was made by Dave Bolland, with only his third of the playoffs. All year the Blackhawks were defined by their depth. All four lines were a threat to score. Corey Crawford answered all his critics who questioned whether or not he could be an everyday goaltender, and now he’s a Stanley Cup champion. Jonathan Toews and Patrick Kane, who both went through their share of slumps in the playoffs, came up big in the final two games. And to think, only a month ago, this was the same team that was down 3-1 to the Red Wings and on the brink of elimination. But from that point, the Blackhawks went on to win 11 of their final 14 playoff games. It was an incredible end to an incredible season. And for all of us Chicago sports fans—really soak this one in. The Cubs and White Sox are both in the middle of miserable seasons and long-term rebuilds. The Bulls are still awaiting the return of their star, all while still figuring out how to surround him with the right guys to make them true contenders. The Bears are about to enter a new coaching regime with their fourth offensive coordinator in the Jay Cutler era and an aging defense playing for the first time in this decade without Brian Urlacher. Since the Bulls’ last title in 1998, Chicago’s major sports teams have only been world champions three times, two thanks to the Blackhawks. 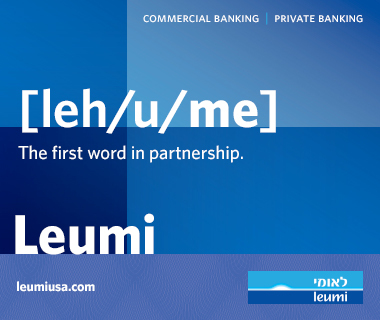 So let’s celebrate this one all summer long. The Stanley Cup is back in Chicago. Eric Burgher runs the Chicago sports blog Sweet Home Sports.